We've been listening to your feedback about the new version of Google Analytics, and are excited to release an updated user interface featuring enhancements to nearly all aspects of the design of Google Analytics. Based on input from our users, partners, and customers, we have launched several improvements to our user interface. We are particularly proud of the attention to detail that our user experience team has put into making the interface easy to use, understandable, and beautiful. The primary goal of this update is to bring more attention to the things that matter -- your data, and how you analyze it. We improved legibility of score card and table data, and refined our color palette to draw attention toward data instead of navigation elements. We would like to thank everyone for submitting excellent feedback. 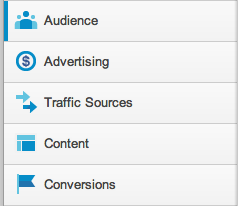 Please continue to provide input on how Google Analytics can best deliver the insights you need.